In the never-ending pursuit of business success, the security of your data and the members that fill your space are just as important as any technology you use. Securing digital data by password protecting the wireless Internet is the first step. But what about keeping the office space closed and private? This is where keyless access control is essential. Something as important as 24/7 access to a Coworking space can be solved by keyless access control. Whether you have limited staff, or no receptionist, keyless door access allows your members to use their space freely. Even in a Coworking space, you don’t want just anyone to be able to walk in and start working or have access to your digital data. When sharing an office space with a diverse group of people working for different employers, there is a procedure that must be followed before space can be rented out and used. Security access for a Coworking environment starts with door openers connected to an integrated software system that administrators can access and easily control. Whether members will be there for a single day, a month, or a year, they will have immediate access to the office as soon as they are approved to rent the office space from you. They’ll receive all the security access you allow from the door codes, to the meeting rooms, to the Wi-Fi password. This simplifies the member’s experience and eases your comfort level as an operator. You won’t have to worry about anyone unwanted or unapproved at the space or interruptions to other members/staff. There are more than just time-saving benefits involved with the installation of door-opening technology. The keyless movement in the business world has gained momentum, and it’s not just a passing phase. By having an extensive security system in place, your space is in the best position to thwart potential security threats. We’ve all had that feeling of too many to keep up with which one opens which door. Or worse, losing a keychain that had that many keys on it. Office doors requiring code input instead of a key can prevent problems before they even happen. Access control is easier to maintain by simply changing the codes instead of needing to go through the expense of changing locks and having keys cut for every new or existing member. There’s also the off chance you’d want to prevent access to someone who no longer works out of your space. But we’re not trying to be negative around here! Speaking of having keys made, we forget how frequently our keys are outside of our control. Any time you leave your keys unprotected or in someone else’s care – giving them to a valet or simply leaving them on your desk – they can be copied. This poses a significant security threat that door access control eliminates. Security is not just about simplistic door openers anymore. Office security protects much more than that, including employees, digital data files, and expensive technological hardware. Through the services provided by WUN, once an individual reserves a meeting room in the office they will receive the code and passwords to have immediate access to the door opening devices, Wi-Fi / High Speed Internet, and VoIP telephone services. WUN Coworking software completely automates the security process and integration of new employees safely without any hassle. Administrators now have the power to alter the credentials of an employee in the system. 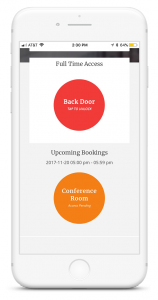 With the technology provided by WUN they will be able to allow or deny access to certain areas or even the office as a whole simply by changing the codes. It’s as simple as that. No more re-keying an office or having to make sure an employee returns their keys upon termination. If your space has exclusive meeting rooms, you can set the access for only certain members to having booking rights. If your space has soundproof areas, same concept. Streamlining your services and providing added value to your higher end memberships has never been easier. Protecting your employees also means protecting their secure digital data. Whether that data comes in the form of personal information or the products they worked hard on, they deserve to feel safe in their work environment. Door opening technology, along with hardware protection from WUN ensures that. Keyless security measures are gaining popularity. People want to feel safer in their place of business, and WUN strives to provide all of the technology – be it hardware or software – that a business needs to keep the employees happy and moving forward. Integrating with a reliable, trusted name like Kisi, makes our solution even greater. Among its many features, Kisi and WUN combine to monitor usage in real time. You can access a full audit trail and physical security compliance without compromising user experience. 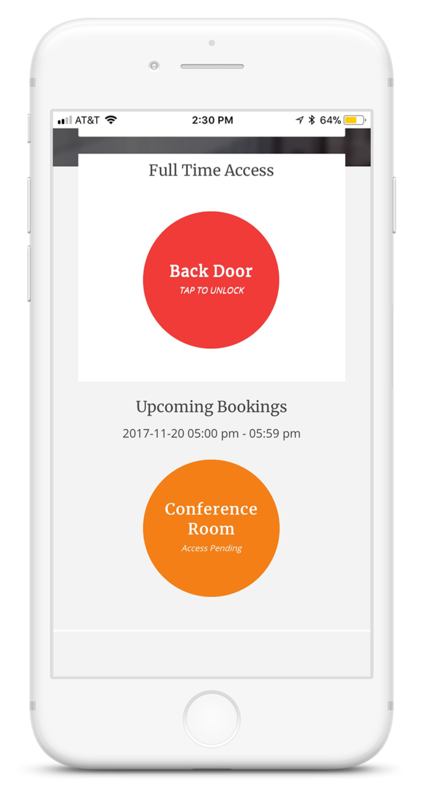 Our security software that controls door opening works perfectly with every other WUN Coworking Management Software available. Seamless software integration across devices and easy-to-use hardware. Just a couple of reasons why WUN is ranked among the 5000 fastest growing companies in the USA. It’s time to join the business revolution and go keyless with security access for Coworking space from WUN.